Our workplace values are the guiding principles that are most important to us about the way that we work. We must use these deeply held principles to choose between right and wrong ways of working, and they help us make important decisions and career choices. 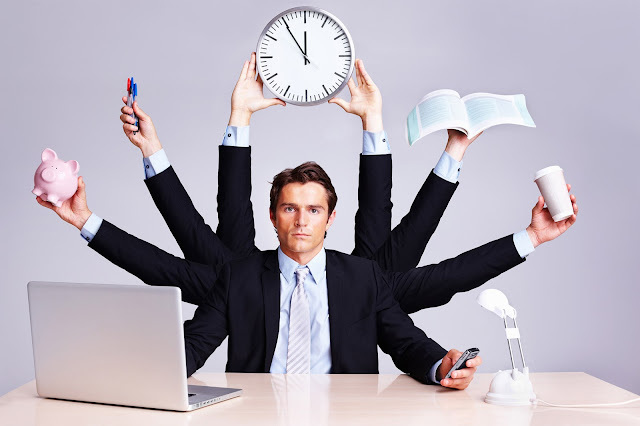 Harta Maintenance share the aspiration in celebrating staff as they are the backbone of the organisation. Kuala Lumpur, 15 September 2018 – Held for the first time, the 3.6km HARTA Unity Fun Run was flagged off at 8.30am at Kuala Lumpur Botanical Garden. The run organised by Harta Maintenance Sdn Bhd, an integrated Facility Management company. In conjunction with celebration of Malaysia Day and World Cleanup Day, HARTA took the opportunity to organised this 3.6 km fun run to show support and share the aspiration in celebrating all HARTA people as they are the backbone of the organisation. ‘Sayangi Malaysiaku’ – there could not be a better reminder than this year’s national Merdeka theme, Malaysia, here where love and unity grows. On 30th August 2018, HARTA celebrated National Day and monthly staff birthday at Harta Maintenance head Office. All Hartawan showing their love and patriotic spirit for the country in the celebration of 61 years of independence. The Yassin reading session at the beginning of the event continued with HARTA National Day celebration along with prize giving ceremony for National Day campaign at Harta like Merdeka Quiz and Merdeka decoration competition. The turn up for all the organised program during the Merdeka month received warm welcome from all HARTAWAN. Thank you HARTAWAN for your participation! TOGETHER WE MAKE A GREAT DIFFERENCE! Malaysia National Day and Malaysia Day is approaching us. August 31 and September 16 each year is the most meaningful day for Malaysians. National Day Celebrations as well as Malaysia Day is the indication that our country is free from foreign occupation since 1957. 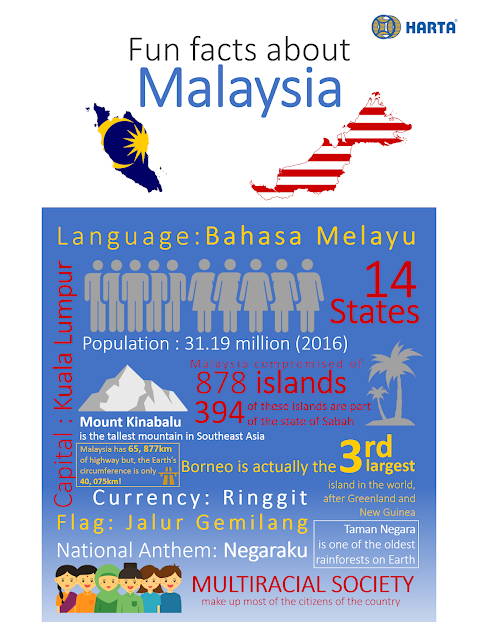 In a wider context, it also celebrates the formation of Malaysia. 'Sayangi Malaysiaku' or Love Our Malaysia is the theme for National Day this year, a theme to celebrate and enhance the love of the nation among Malaysians. 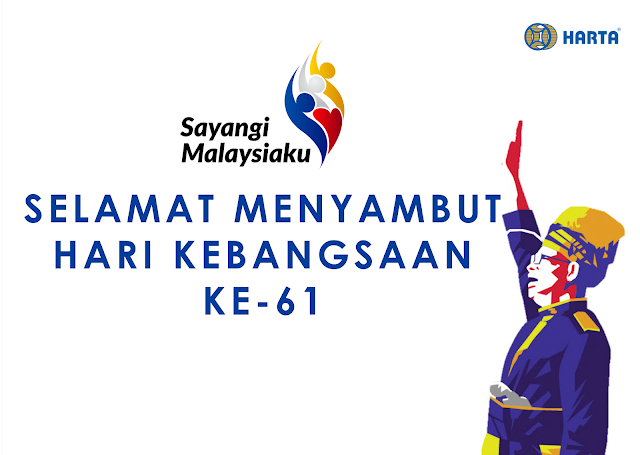 This year, Malaysia will celebrate the 61st Independence Day and 55th Malaysia Day. Our country has surpassed the age of 61 with a glorious presence and continues economic advancement and rapid development in every edge of the country. Multiracial community continue to prosper unity and living in harmony until today. WE ARE PROUD TO BE MALAYSIAN!